While they might not seem all that significant, pallets play a major role in the history of our economy. At first glance, those flat wooden structures sitting outside grocery stores, filled with jars of pickles may not seem like much at all, but there's more to what meets the eye with these simple shipping containers. Since the beginning of the 20th century, pallets have served as a convenient and affordable cog in the universal machine for transportation. Used to ship, store and display items, pallets play some crucial roles - and when handled properly - can increase an operation’s safety and efficiency. Today’s pallets are designed to withstand enormous weights and be lifted by forklift on and off trucks, ships, and planes. Without them, it's uncertain whether the global economy would be as strong as it is today. If you want to impress your boss or coworkers with extensive knowledge about the origins of these handy containers, then pay close attention. 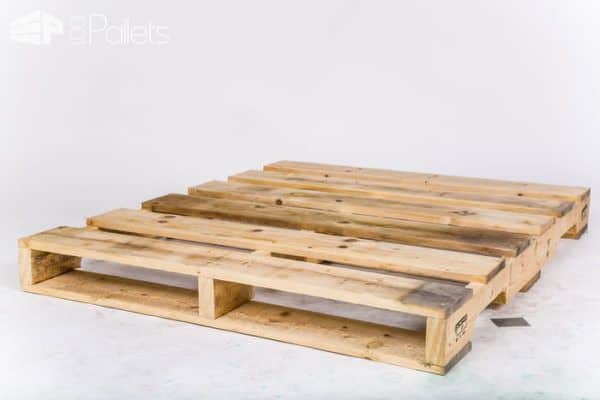 Here's what you should know about the history of pallets. Pallets and skids are commonplace in worksites around the world— they also go hand-in-hand. But have you ever stopped to think about why and how they became a warehouse staple? Before the dawn of pallets - wooden crates, boxes, barrels, and kegs were used to transport, store and move goods. Skids were also sometimes used. It was the during the early 1920's, shortly after the modern forklift was invented, when skids evolved into pallets, revolutionizing the way merchandise was gathered, stored and protected. Boards were fastened to stringers to create a platform for the product to sit on and a space underneath that could easily accommodate the prongs of the forklift'. In 1925, bottom planks were added to the design. This addition led to the concept of stacking, which allowed goods to be moved, stored and stacked with extraordinary speed and versatility. It wasn't long before every warehouse across the globe began relying on these simple wooden structures to store and load their goods. Thanks to technology and innovation, today's skids and pallets are lighter, stronger and more versatile. Pallet development further evolved with the development of 4-way entry and alternative material pallets in the 1940s. Coinciding with a time of mass production, the popularity of pallets skyrocketed during World War 2. 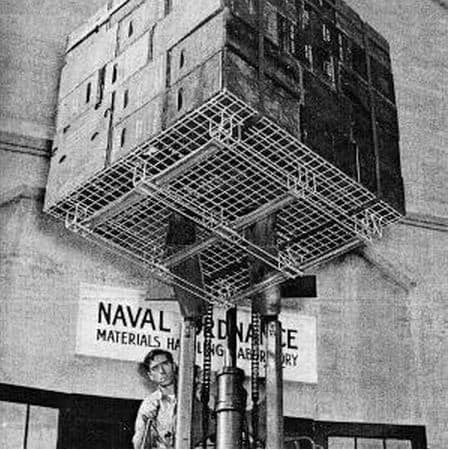 Around this time, a universal 48 X 48 standard size pallet was established between allied countries for ease of shipment and transportation and the use of the pallet and forklift would become a key component of the U.S. military logistics strategy. In addition to enabling the massive production and shipment of heavy goods and armaments in the war, pallets were used by thousands of small and mid-sized business throughout North America. At the time the war began for the U.S. in 1941, 25,000 forklift trucks were estimated to be in use. Correspondingly, pallet production was also still in its early stages of development. Demand for pallets could only grow as lift trucks became more widespread. During the course of World War 2, that is what happened. 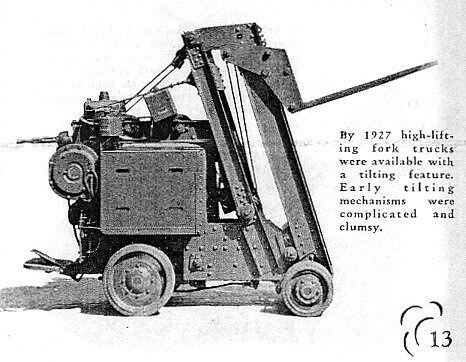 According to Wikipedia, in 1954 a British company named Lansing Bagnall, now part of KION Group, developed what was claimed to be the first narrow aisle electric reach truck. The development changed the design of warehouses leading to narrower aisles and higher load stacking that increased storage capability. A variety of sizes and designs were utilized, which resulted in costly delays and higher labor costs. 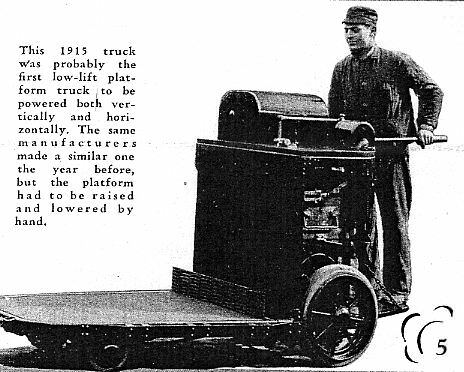 One interesting post-war switch was from the 40×48″ stringer pallet to the 48×40″ pallet, likely having to do with better optimizing the conversion from rail to truck transport that was in full gear during this time. In 1968, the distribution managers of several major Canadian grocery companies met to establish a standard pallet for interchange to correct these issues. The result - the 48 X 40 four-way entry wood pallet, known as the GPMC pallet. 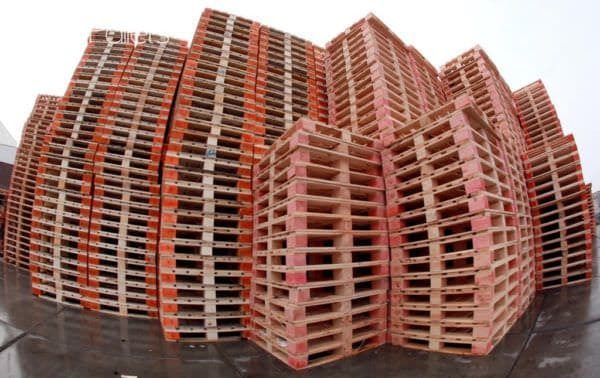 This standard pallet became the most common and widespread. In 1977, the Canadian Pallet Council (CPC) was established to provide low-cost, competitive pallet services, including an efficient interchange system for the Canadian consumer products industry. The CPC is a non-profit organization with over 1,000 members who own and exchange the almost seven million distinctive orange pallets in circulation. One may recognize the distinctive orange stripe and logo, which are registered trademarks of the CPC. 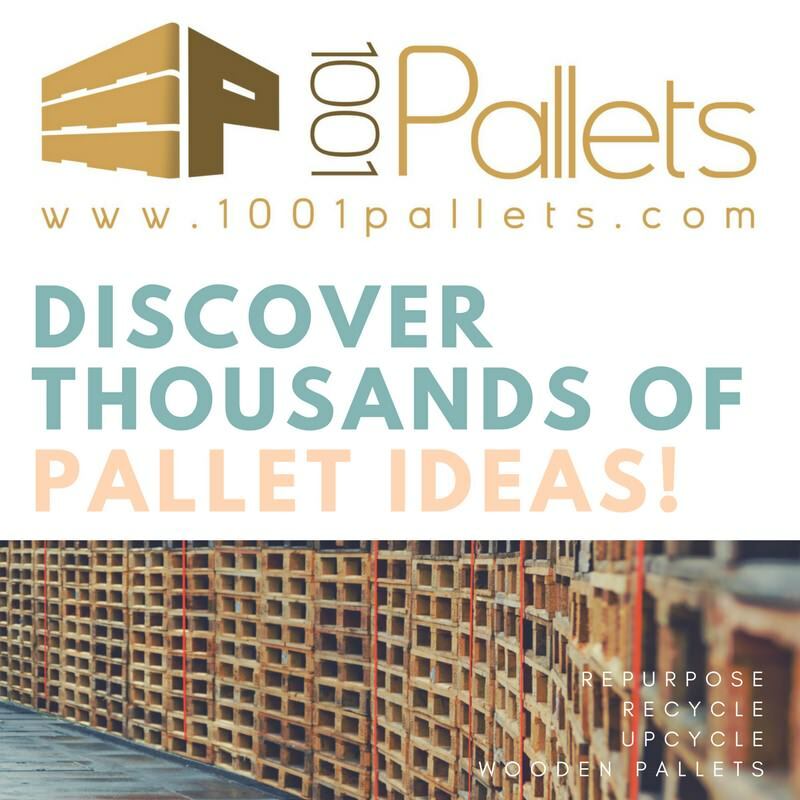 Did you know there are currently around 450 million new pallets produced in North America each year and that 1.9 billion are in use at any given time? That's a lot of pallets! Today, most pallets are wooden; however, they can also be made of plastic, metal, paper, and recycled materials like aluminum.  And because shippers have needs of all kinds - needs that surpass standard size pallets, pallets can also be made in many sizes and specifications. IKEA has even designed products around pallets, according to author Colin White, whose book Strategic Management, notes that the company has had three redesigns - each not solely done for visual appeal, but to ensure the mugs would fit on a pallet. After the changes, it was possible to fit 2,204 mugs on a pallet, rather than the original 864, which created a 60 percent reduction in shipping costs. Pallets have also become a popular medium for the DIY'er - all one has to do is type the word 'pallet' on Pinterest to see all the innovative ways they are being repurposed. From modern interior design to practical applications, especially in the garden, the wooden pallet can be used in endless ways. So there you have it - a complete blast to the pallet's past. True, they may not have a glitzy high-profile, but that doesn't mean they don't serve an important function for companies around the world. In today's economy, one would be hard-pressed to find a company that does not use pallets in their day-to-day operations. Sarah Barrell is the General Manager of A-1 Pallet Enterprises; founded by the Barrell family in 1997. Sarah has been dedicated to creating harmony in her business; focusing & learning how to be more effective & efficient and supporting A-1 Pallet’s vision of providing Shipping Solutions & Peace of Mind. You can connect with her on Google+. Pallet lumber is good for all sorts!!!!! I’ve rebuilt “bad order ones” to be used as washer & dryer decking to raise the feet of the 2 machines off a sometimes damp floor….. The pallets I used just so happened to be treated for damp conditions! I’ve also made decorative coat racks and shelving from decent sections of pallet lumber.. one case left “rough” other case refinished as indoor decor….. -All kinda stuff on them on Pinterest tho! WOW! i just finished my first project it is an accent wall made from pallets. i’m hooked and look forward to creating new and unique projects. I love all the projects you can find online for recycling old pallets to make furniture. It is really interesting to learn how skids and pallets were invented in the 1920’s to replace crates and barrels. Since there are 450 million pallets being made in this country every year, I think that finding ways to recycle them is really smart!